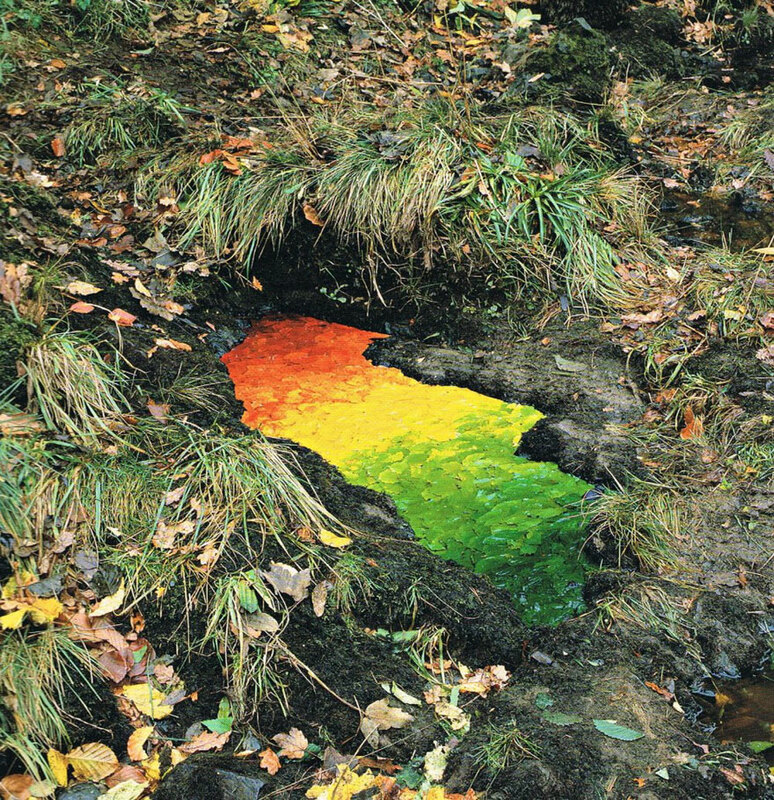 Much of Goldsworthy’s land art is transient and ephemeral, leading many to view it as a comment on the Earth’s fragility. 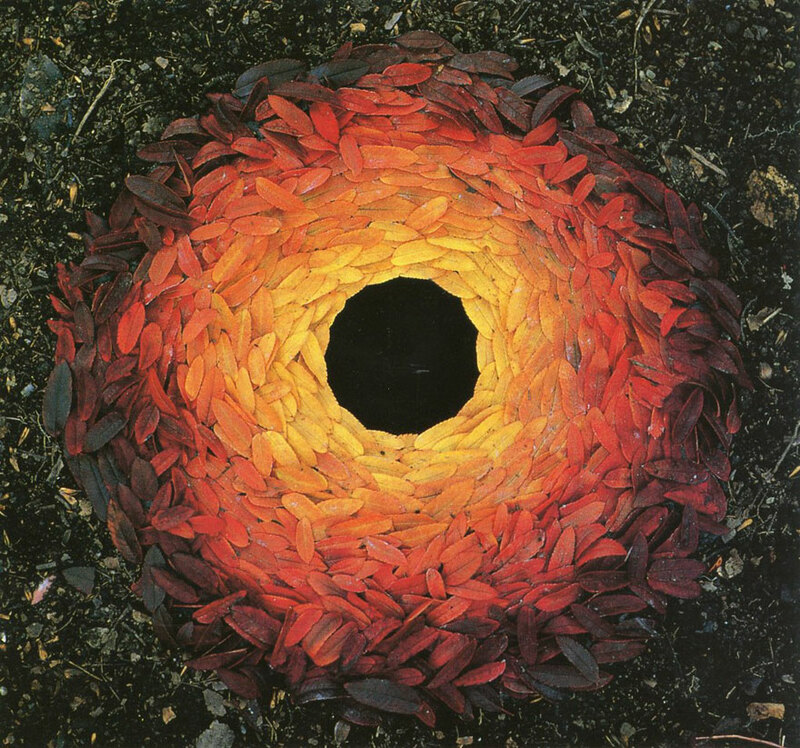 But for Goldsworthy, the picture is more complicated. 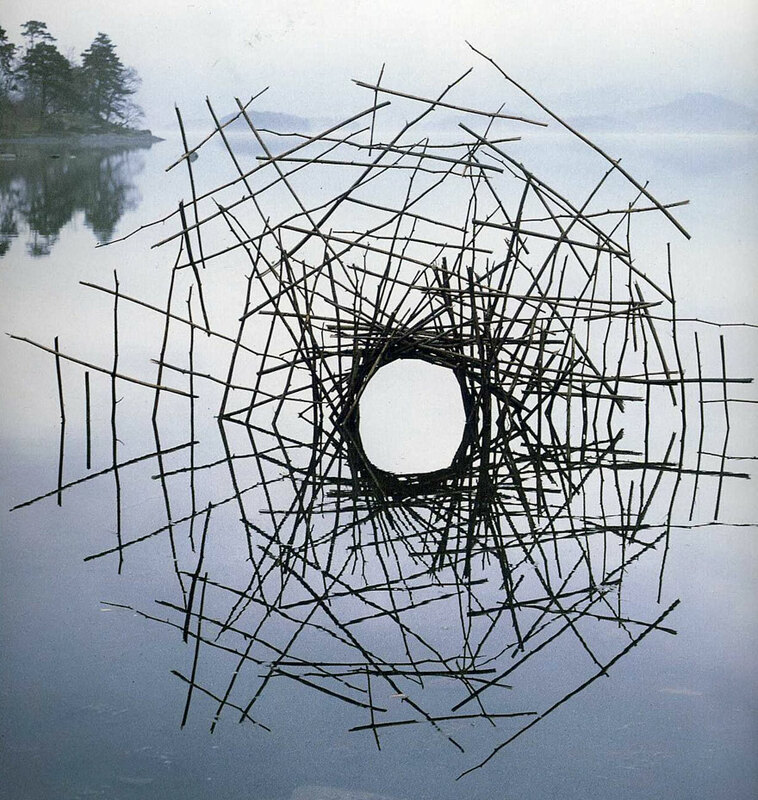 Scroll down below for a look of Andy Goldsworthy’s art; it sure is one of a kind, beautiful for its short-timed qualities and absolutely unique art. 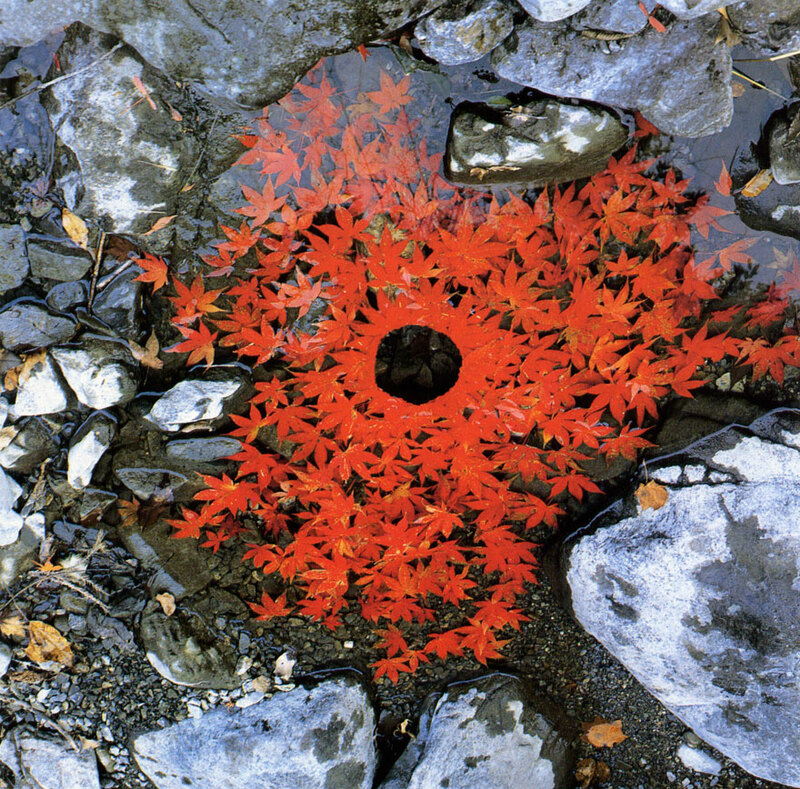 I loved the one with the Japanese maple tree leaves. 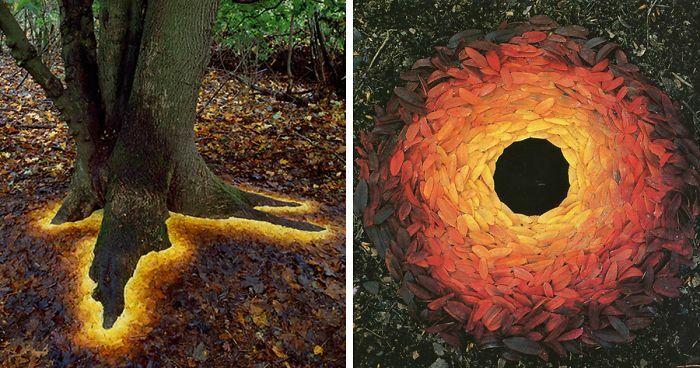 It reminded me of fall from when I was in Canada.